To date, solopreneurs, small business owners and other talented individuals who needed public relations support or advice had few options if they could not afford to pay traditional agency retainer fees. 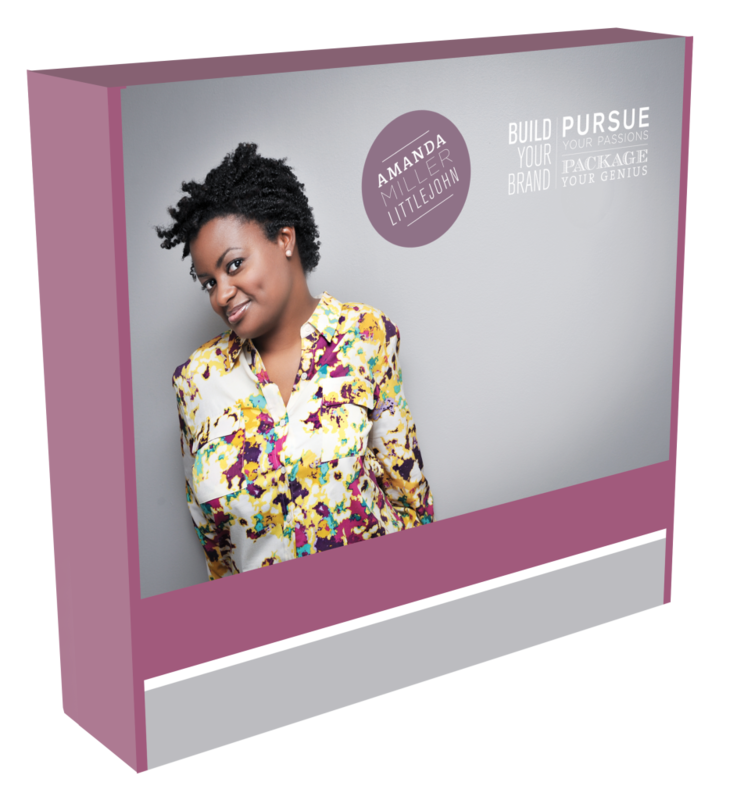 With the creation of The Branding Box, Amanda Miller Littlejohn hopes to solve that problem by making PR and personal brand coaching affordable and accessible. Littlejohn, a former journalist, launched the Mopwater Social PR agency in 2008, with an initial focus on copywriting; adding social media and digital marketing services later. As her firm continued to evolve, she noticed that many of the individuals who contacted her needed a “full service solution.” Thus, The Branding Box was born. 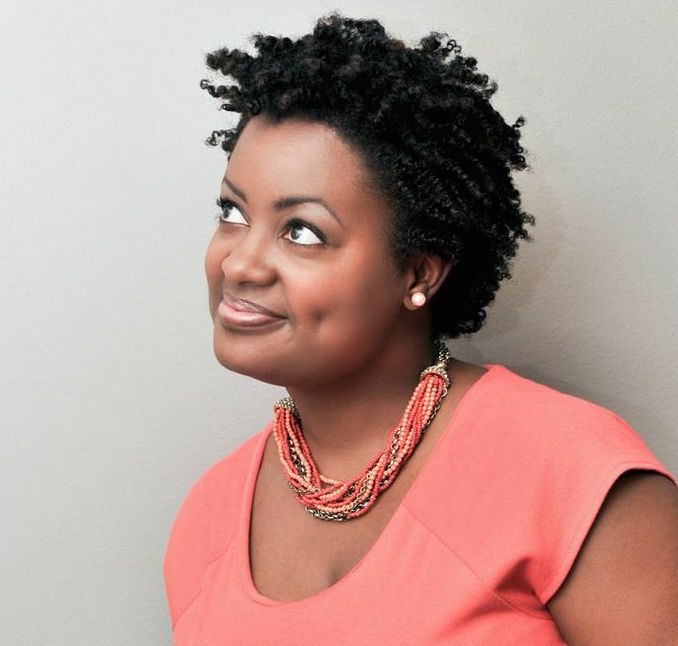 Here, Littlejohn provides additional insight into why she created the Branding Box, shares some personal branding tips and talks about making the transition to personal branding coach. H+S: Over the last year you’ve undergone a major brand overhaul from having a traditional PR firm to now focusing more on the needs of individuals and small businesses. What prompted the change? Littlejohn: I’m really passionate about people. While I was working in my PR company, I kept getting approached by individuals who really needed my expertise but could not afford the traditional PR retainer. I really wanted to help them in some way, and I felt they just needed guidance and direction in order to get start. So I began to offer strategy sessions and really enjoyed that process of sitting down with them one on one to give them ideas for their business. The word got out about the sessions, and I begin to get a lot of referrals and that started to take over my time. As it grew I realized I really enjoyed getting into the trenches with people as they try to figure out their next steps, and I felt like that work was just as impactful as the PR, but in a different way. It was also very enjoyable and fulfilling for me personally. I was very energized by helping people on an individual level. H+S: Do you still run your PR firm or have you made the full transition to personal brand consultant with The Branding Box?Littlejohn: Yes, I still maintain several PR clients despite my personal branding work. I think it’s important to “ stay in the game” so to speak, and keep those core skills sharp. And I really do enjoy helping people who I think are amazingly smart and can help others get the word out about what they’re doing. For example, last year I worked with an author named J.J. Smith who launched her book the 10 Day Green Smoothie Cleanse. She had such a compelling personal story and the book was already changing people’s lives. During our work together the book that she self-published hit the New York Times Bestseller list, and has since been acquired by Simon and Schuster for distribution. She was recently nominated for an NAACP Image Award. So to see her soar and know that I was a part of her initial book launch is truly gratifying. I’m currently working with a relationship therapist who I really believe in, as well as a few other experts. H+S: How do you manage your full-service work with your personal coaching work? Littlejohn: It’s a pretty seamless management because from time to time my personal branding clients will need PR, and my PR clients will sometimes need the personal branding, platform development, message development, social media strategy, etc. So it goes back and forth. Currently, the bulk of my work is in personal branding consulting and coaching. I would say my business is 30% PR and 70% personal branding. Two years ago, my business was 70% PR and 30% personal branding. The current composition is working really well. H+S: What is a typical day like for you? Littlejohn: While no day is exactly the same, I take my kids to school around 8:30 a.m. and try to get to my office in Dupont Circle around 9 a.m.. Depending on the day of the week I may be working on strategy documents for my clients throughout the morning, writing, and doing business development calls. In the afternoon I may take a lunch meeting or coffee date with one of my local clients or have a call with one of my personal branding clients that live in another city. Depending on what events we have coming up, I may polish up my PowerPoint for an upcoming presentation, respond to interview requests or follow up with journalists on a story for one of our clients. I leave work around 3:15 p.m. to get my kids from school, either head to piano lessons for my son Connor or straight home to make dinner, do homework, and decompress. After the kids go to bed at 8:30 p.m., I then spend a couple more hours online reading, researching, and engaging with my community. H+S: Do you have a team that you work with? Littlejohn: Yes. I have a project director who works with me every day, an assistant and a business development manager who don’t work in my office but who I am in contact with during the week. On contract, I also work with an awesome media specialist, two graphic designers, and a few different photographers on a project basis depending on the workload and needs of our clients. H+S: Ok. Let’s get into this Branding Box. How did it come about? Littlejohn: After doing dozens of brand brainstorm sessions, I found that I was repeating myself. I was making similar recommendations on the fundamentals of building your brand and positioning your expertise to people who had service-based businesses. So I wanted to create a document or product that could serve as an entry level point for someone who was not necessarily ready to coach with me individually. I was also in the process of transitioning that signature strategy session out of my business and wanted to bring something in to take its place. After hearing the same challenges from my clients: “How do I position my expertise?” “How do I get the word out?” “How do I get started as a speaker?,” I felt like I needed to create a handbook of some sort that I could use to essentially scale myself. Because while I loved doing one on one sessions, as they grew more popular, I knew eventually I would not be able to sustain that level of engagement. But I still wanted people to be able to get the same results as they would if they had worked with me in that 90 minute session. I wanted leverage my time so that I could have more of it for writing, creating and big picture thinking. H+S: What comes inside the Branding Box? Littlejohn: The Branding Box includes a personal brand development toolkit, which is my system (instructional material, worksheets, templates and exercises) for developing a memorable personal brand, a 60-minute audio CD on how to build your brand around your expertise, the Little Book of Brand Lessons and a quarterly brand/goal planning calendar. H+S: Who is the ideal candidate for a branding box? Littlejohn: The Branding Box is perfect for a small business owner that wants to make a bigger splash in the marketplace by getting more intentional about their business development, doing public speaking, strategically approaching media, and starting to do some basic PR. A lot of the people who have purchased a box have their own businesses and are already consultants or coaches, but another segment of the people who get it and love it are those who are ready to transition from full-time employment into entrepreneurship. H+S: At what point in someone’s life or career should they look to hire a personal branding coach? Littlejohn: It may be time to hire a personal branding consultant if you’re not sure what you’re good at, and you need help getting clear on who you are and what value you add to the table. Also, if you are stuck in your career, or ready for change in your business but can’t seem to figure out which direction you want to go, it may be time to hire someone to help you get clarity. If you are ready to start a business, that is also a good time because you want to make sure you’re building your business around what you want to do and what energizes you, not just what you can do. H+S: What are the top 3 personal branding mistakes people make? Littlejohn: (1) They are too modest. Most people have an amazing bank of accomplishments but they downplay their past successes, gifts and expertise. I try to help people see what is amazing about themselves so that we can build from there. (2) They wait too late to build their brand and document their successes. From time to time people will come to me when they need a job, have been laid off, etc. and they need results fast. But it doesn’t really work that way. I believe the best time to build your brand and start creating a footprint is before you actually need it. (3) I’d say in general a lot of people don’t take themselves seriously. They don’t think enough of themselves to set up a website or look for speaking opportunities, awards, etc. They think that’s for “other people”. But in today’s economy, those “other people” are the ones that come to mind when the good opportunities present themselves. H+S: A lot of people may be interested in changing jobs or careers but they are afraid. What branding advice would you give them to help them overcome their fear and get started? Littlejohn: Start small. If you want to switch industries, first get your feet wet in the area you want to play in. Try to do one small thing – volunteer on a project, host an event, land a speaking gig, do a media interview, write a blog post. Try to get one success, one measure of traction in this new field. Once you have a success, your confidence will grow and you’ll see if you can really do this, and if you actually really want to do this. H+S: What are some things people should do if they are looking to revamp their personal brand? Littlejohn: Get a new headshot. Claim yourname.com online and set up your own personal website. Find a place to speak and share your expertise. Make a list of all of your past jobs or if you’re in business, all of your past clients. For each client, write down your favorite projects and what really made you feel amazing while you were there. Write down when you felt like you got really great results for the organization or for the client. What were you doing? Then look for the common themes in your responses to that exercise so that you can figure out what work makes you tick. H+S: What are some things people should avoid doing if they are looking to revamp their personal brand? Littlejohn: Don’t hold onto fifteen year old headshots – get those photos updated so you look like the person in the picture. The same with websites and graphics – every now and then you need a facelift. In general, you need to keep things fresh. If you want to stay relevant you can’t rely on the same old marketing tactics year after year. H+S: Great advice. Now that you’ve launched The Branding Box, where do you hope to take it next? Littlejohn: Well, [the box] isn’t even a year old yet, so we are still working on the getting the word out. We’re focused on making sure that the people who need a resource like this know about it. But also on the plate, we are looking into hosting branding events outside of Washington, DC, and building out the Package Your Genius Academy which will include workshops, webinars and a group mastermind. 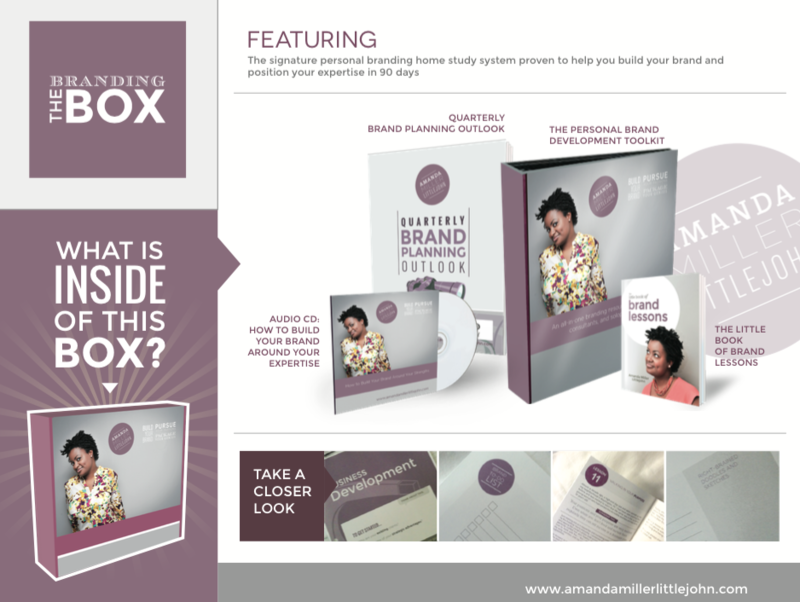 To learn more about Amanda Miller Littlejohn or The Branding Box, visit www.amandamillerlittlejohn.com or follow Amanda on Twitter @AmandaMogul.